Anti aging eye treatments are probably one of the most sought after skin products out there. Everyone wants to fight the signs of aging, and around the eyes are usually where those first lines and wrinkles begin to appear. The following natural products are all proven effective in keeping the area around your eyes radiant and youthful, while still giving you the piece of mind that there are no ingredients such as harsh chemicals in them that can further damage maturing skin. Enjoy brighter, younger looking eyes with one of these natural eye treatments for aging skin. Trilogy Age Proof Triple Action Line Smoother If you have deep furrows or wrinkles then this is the eye treatment for you. This eye cream is specifically designed to target those more stubborn wrinkles such as frown lines and more noticable wrinkles. Containing Jojoba Oil, Cocoa Seed Butter, Fruit Extract, Avocado Oil, Evening Primrose and Rosemary Leaf Extract. All of these ingredients together smooth, restore, firm and strengthen skin. Lines begin to appear less visible and skin elasticity improves. Trilogy products contain 100% natural ingredients and all packaging and products are biodegradable. 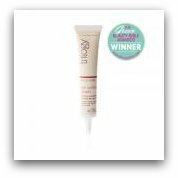 This eye cream contains no Parabens, Petrochemicals, PEG's, Pesticides, Harsh Surfactants, GMO's and Synthetic Dyes or Fragrances. Juice Beauty Green Apple Nutrient Eye Cream is packed full of ingredients that mature skin loves. It contains Apple juice, Carrot juice, Aloe Vera Juice, Cucumber Extract, Sunflower Oil, Avocado Oil, Green Tea Extract, Evening Primrose and Vitamins A, E, C and K.
These ingredients combined together provide Vitamins and Nutrients, Alpha Lipoic Acid, Co Enzyme Q10 and Peptides that moisturize, firm, smooth and give your eyes a more youthful appearance. Voted #1 organic brand by style.com and named most wanted cosmetic product by Instyle.com. Don't let that scare you though. I've spent more money in the past on Oil of Olay products, so prices are very competitive with department store brands. Juice Beauty products are 100% Vegetarian and made with certified organic ingredients. They contain no Parabens, Sodium Laurel Sulphates, Pesticides, Petroleum, Propylene, Butylene Glycol, Phthalates and Synthetic Dyes And Fragrances. 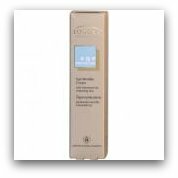 Logona Age Protection Eye Wrinkle Cream This wrinkle cream is excellent at reducing fine dry lines and wrinkles. Clinical studies on this product showed a 30% reduction in the appearance of lines and wrinkles and a 33% improvement in the moisture of the skin around the eyes in 7 days. Logona products are available in 44 countries and is now one of the most certified, high quality organic product companies. They are also one of the most reasonably priced natural products and boast a very large selection of natural, organic skin care. This eye treatment contains no Parabens, Petrochemicals, Paraffin, Silicone, GMO's and Synthetic Dyes and Fragrances. 100% vegetarian. 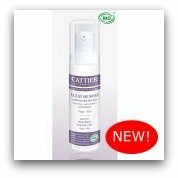 Cattier Eclat de Rose - Eye Treatment Cattier has been the leading organic baby skin care brand for 40 years now and is a very trusted name by many mothers. Now the moms get to enjoy these quality, natural and organic skin products for themselves! This product deeply moisturizers, strengthens skin elasticity, reduces dark circles, reduces sagging, tones, smooths, brightens and gives eyes a younger appearance. Packed with Vitamin E this anti aging eye treatment also contains Argan Oil, Black Wheat Wax, Red Algae Extract, Grren Algae Extract, Lavender and Rose Water. Certified natural and organic Cattier products contain no Petrochemicals, Parabens and Synthetic Dyes and Fragrances. Suki Eye Lift Cellular Renewal Cream This natural anti aging eye cream boosts collagen, firms under eye area, reduces puffiness, brightens dark circles, smooths fine lines and wrinkles and nourishes skin cells. Suki Eye Lift Cellular Renewal Cream contains Jojoba Oil, Shea Butter, Acai Friut Oil, Licorice Extract and Hibiscus. Suki products 100% natural and over 90% organic. All products are packed in glass containers and recyled cartons. Inks are also natural made from vegetable based inks.